How To: Make a DIY Geodesic Dome Gingerbread House! We've shared quite a few architectural gingerbread houses over the years (including a couple modernist ones and even a book titled "The Gingerbread Architect"), so it was only a matter of time before someone pulled out a Buckminster Fuller reference and made a geodesic gingerbread dome! This holiday season, Curbly asked our friends, peers, and favorite design bloggers to stop by, have some hot cocoa, and tell us what gifts they'd like to receive this year. Today, we're excited to welcome Ez Pudewa, the founder and editor of Creature Comforts, one of our favorite handmade lifestyle and design blogs. Make It: A Space-Saving DIY Twig Christmas Tree! The always awesome and incredibly clever Karen Bertelsen from The Art of Doing Stuff came up with one of the best alternative Christmas tree ideas I've seen in a long time: a space-saving, wall-mounted twig tree! Want to make one yourself? Here's what you'll need! Young, old, cat, dog, everybody enjoys a discovering a filled stocking on Christmas morning. The BEST stockings have always been and will ever be homemade. From machine sewn to no-sew, from knit to crochet, in this round up, we've amassed hundreds--yes hundreds--of stocking tutorials to help you make this Christmas joyful and bright! 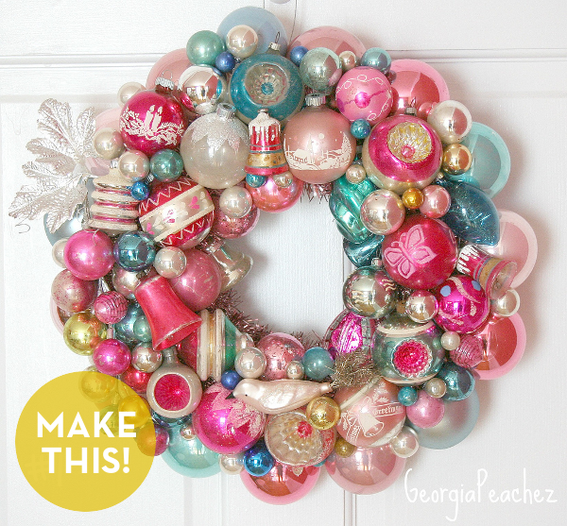 Roundup: 15 Festive DIY Holiday Wreaths to Make This Year! With materials ranging from paper straws to actual living plants, we've rounded up 15 of our favorite festive DIY wreaths! Happy hand-crafted holidays! It's no secret, we love a good DIY lighting project here at Curbly. Whether that's building your own from scratch or simply giving that old shade a makeover, we love lamps. This particular project, though, is hands down the easiest one we've ever seen! If you can tie a knot, you can make this (feathers optional). 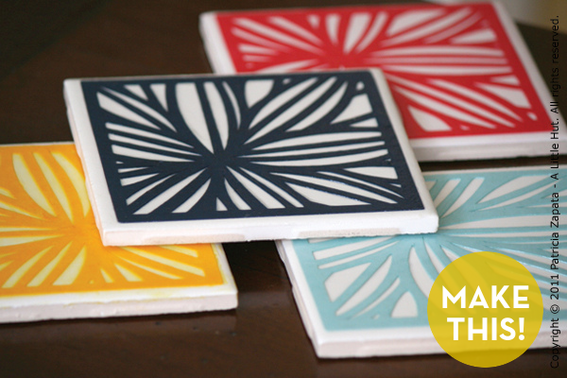 How To: Make Awesome Paper Cut Coasters! At Curbly, we've got a little thing for paper cutting and coasters. But a project that combines two of our loves in one?? Well, that's what I like to call a 'craftgasm'. Simple, easy, and a bit like a friendship bracelet for your door, this DIY branch wreath from Duo Fiberworks is my new favorite thing. 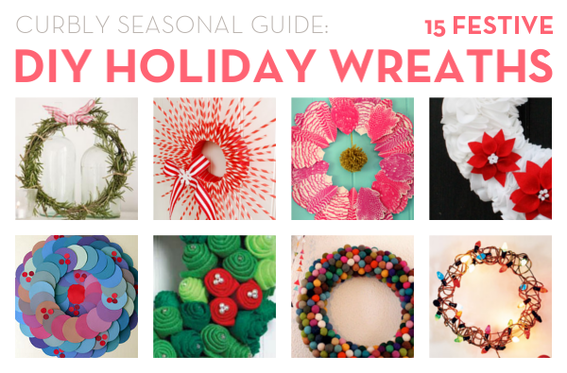 Ye Olde Twig Wreath just got an awesome and colorful update, y'all! How To: Make DIY Liquid Watercolors! Three simple ingredients, folks, that's all you need... then you'll be on your way to custom watercolor heaven! The season of gift-giving is fast approaching, and if your family is anything like mine, we like to make sure all the out-of-towners get their Christmas gifts while they are visiting for Thanksgiving. And since a drive/flight home usually results in crushed boxes and torn gift tags, I thought I'd make some that were a little more suitcase friendly while being easy enough for any gift-giving occasion.